I work in the clinical world and often can’t help but wonder if the changes we are seeing in treating adolescents are parallel to what is happening in youth ministry as well. I know it is audacious to think I have any more or a crystal ball that anyone else, but here’s my two cents regarding the future of youth ministry. As I see more and more adolescents in our offices presenting with significantly more acute distress I am immediately concerned at how overwhelmed youth workers will be when and if they bother to show up at their church door. Long gone are the days when you could single out the one or two problems kids had and walk alongside them as the work it out. We are seeing more young people with co-occurring disorders, meaning they are presenting with any of the following in combination; substance use disorders, mood disorders, criminal or legal difficulties, family system breakdowns, and higher levels of stress that youth have historically been accustomed to. What will this mean for how we train the youth workers of the future? What kind of supervision will they need? Will they all need to grow in competencies not typical to youth ministry, such as criminal justice, advanced counseling, developmental psychology or a host of other disciplines? How will they increase their support network with others in the community? Who do those in the support network need to be? Adolescent Culture: We are and will likely continue to be a youth-focused nation and products and marketing will continue to grow in these areas. We would serve our kids better if we understood how consumerism impacts their beliefs and views of the world, as well as their place in it. Adolescent Development: We are learning new information at a break-neck pace about the human body and brain. How that will impact our ministry practices has yet to be determined but it undoubtedly will. Criminal Justice: In increasing number of youth (urban, suburban, and non-urban) are finding themselves in legal trouble that could create significant barriers to entering adulthood intact. We could better serve our youth by developing partnerships with probation, courts, police departments, etc. What if the church was the first place these entities turn to when a kid breaks from the social norms? Technology: There will be an ever increasing focusing on technology as a means of reaching and staying connected to youth in our communities but also around the world. The internet makes the world small. For volunteers technology increases access to advanced training opportunities to be better equipped to help our students. Minorities: With the changing face of America it is imperative that we grow in our cultural intelligences. There will be a need for more culturally relevant and culturally sensitive expressions of Christian ministry. Families: We’ve already begun to see a trend of moving to a family oriented expression of ministry. This is a positive trend and I pray it continues. It’s hard to remove a single part from its whole and try to impact it outside of it’s natural ecology. Family ministry is necessary for the future of our churches. This is not an exhaustive list by any means. Every crystal ball is foggy at best. What are other trends you believe will need to be addressed to ensure the viability of youth ministry in the next ten years? 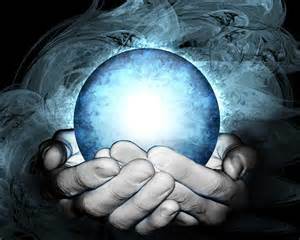 Looking into your crystal ball certainly keeps me thinking. You have a way of putting things into perspective without being judgmental. I also enjoy reading your views on our ever changing youth and world. Thanks Roz. I think we have to work hard to stay ahead of the curve. I’m curious, how do these thoughts impact the way you parent?